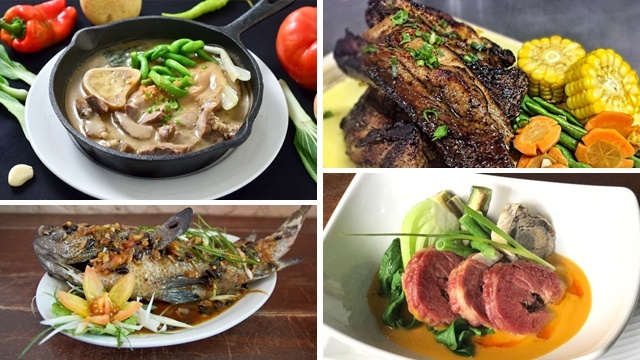 Have you already tried these Pinoy dishes with a twist? (SPOT.ph) Food really brings people together—and this is especially true for Filipinos. We celebrate anything and everything with lots of food. You can say that our cuisine is very distinct yet also very versatile, and that's what makes Filipino gastronomy special. While we do love going back to our basics when it comes to food, we also like experimenting with new things and giving iconic dishes a fresh twist. Below, we list down 10 restaurants and their unique dishes that takes Filipino cuisine to the next level. 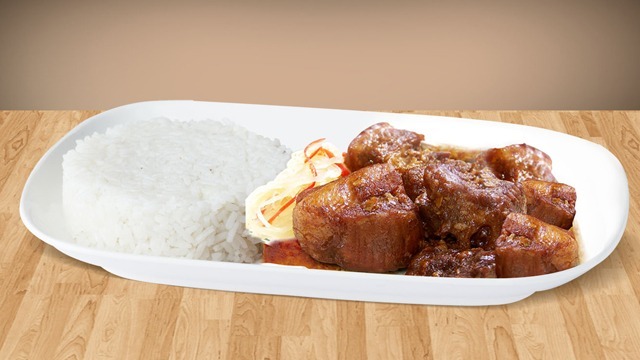 You can get your dose of classic Bicol delicacies at Pan de Cielo. 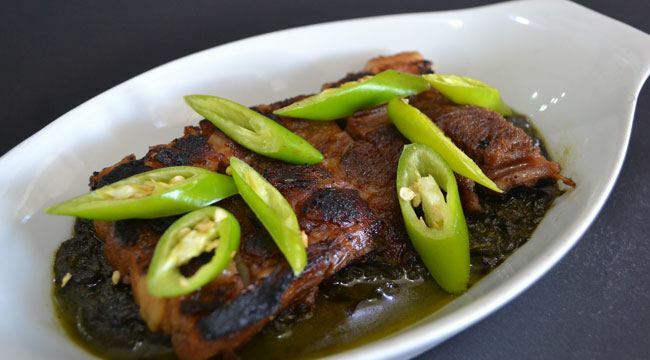 Its laing (in photo) and Bicol express are both given a tasty, meaty twist thanks to a welcome Bacon Slab BBQ addition. The laing is complemented by pan-grilled premium cut pork belly, balancing out the spicy, coconut flavor of the taro leaves, while the spicy and savory flavor of Bicol express matches the grilled prime pork belly. Pan de Cielo is at #21 J. Molina Street, Concepcion Uno, Marikina City, and P. Tuazon corner 17th Avenue, Cubao, Quezon City. The next time you find yourself at this popular restaurant in Timog, do yourself a favor and order the Corned Beef Kare Kare. 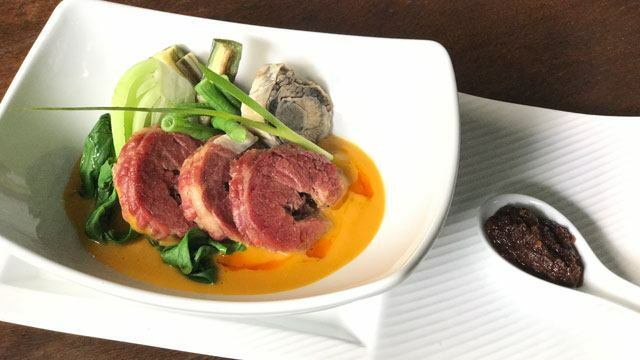 You'll enjoy the classic nutty sauce of kare-kare leveled up with strips of tasty corned beef and bagoong! Annabel's is at 194 Tomas Morato Avenue corner Scout Delgado Street, Sacred Heart, Quezon City. 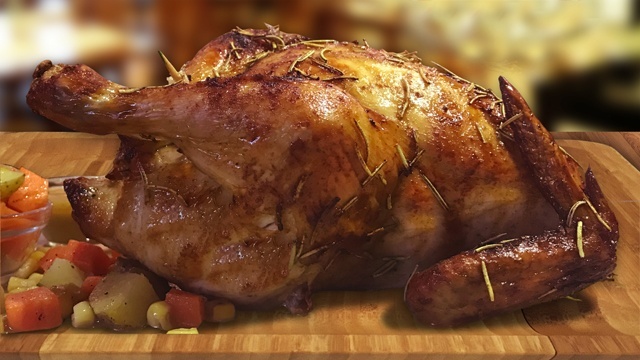 Looking for a homey restaurant where you and your family can eat? Lazat is the place to be. 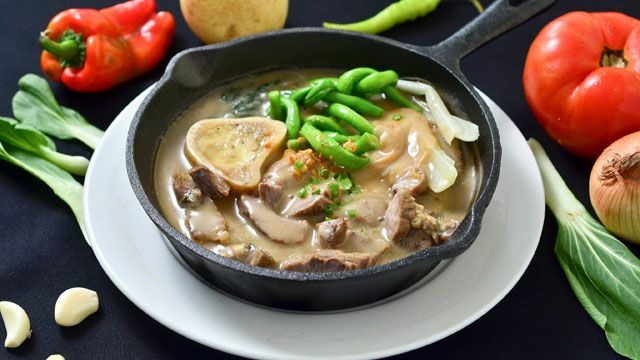 While you're there, order the Sizzling Sinigang na Bulalo Steak! It has this lip-smacking tamarind gravy that you'll want to eat with everything. Lazat is at 76 Scout Limbaga Street, Laging Handa, Tomas Morato, Quezon City. A visit to Bigg's Que Pasa in Naga is like a colonial throwback. It showcases the region's rich Spanish heritage while offering A-plus gastronomical choices (they even have Mexican cuisine!). 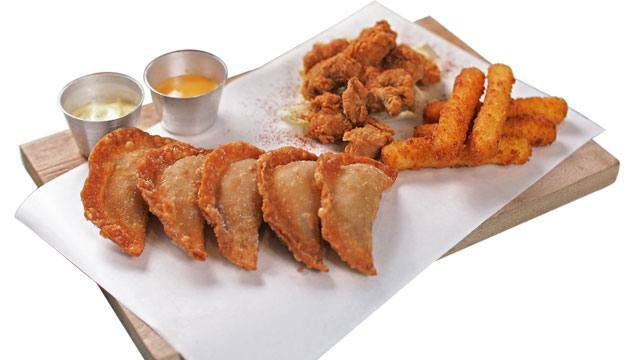 The Que Pasa Pops with Sisig Empanadita is a platter of chicken pops, vegetable fritters, and sisig empanadita. Bigg's Que Pasa is at Barlin Street, Naga City. 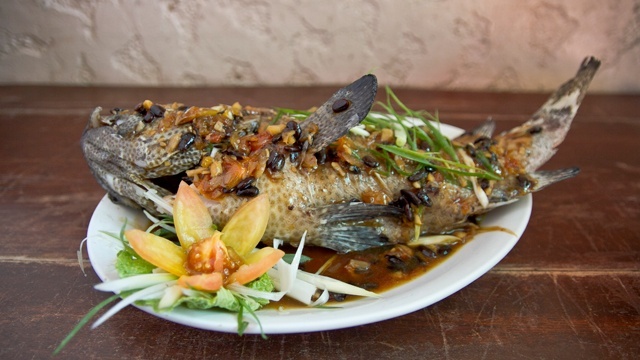 If you're heading to Puerto Princesa any time soon, be sure to check out Kinabuch Bar and Grill—just ask the locals and they'll point you to the right direction. 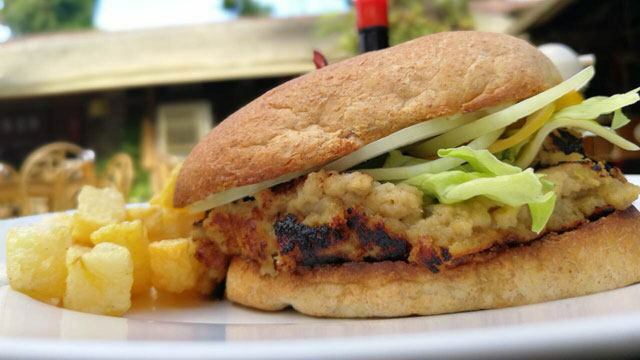 Try something exotic like their Croc Chase Burger (in photo) and Crocodile Sisig. Kinabuch Bar and Grill is at 369 Rizal Avenue, Puerto Princesa City, Palawan. Orange Brutus is known as the restaurant that brought hamburger to Cebu. When you find yourself in the Queen City of the South, don't forget to order Brutus Humba, a.k.a. the Visayan version of adobo. See a list of Orange Brutus branches. If you want your lapu-lapu no-frills, get it with light soy sauce and black beans (in photo). Amp it up with the sweet and sour version. STK TA BAI is at 6 A. Climaco Street, Cebu City, and 3/F Sky Park City Wing, SM Seaside City Cebu. 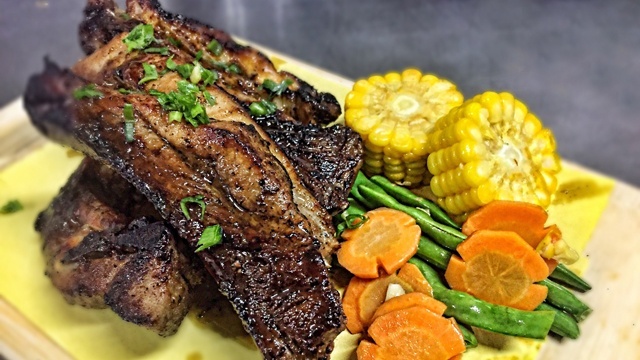 The secret behind Milagrina Ribs is the pork ribs are marinated 10 minutes before they are grilled to preserve that distinctly Asian flavor. Jo's Milagrina is at 135 Real Street, Ormoc City 6541, and 241 P. Burgos Street, Tacloban City. Owned by Lloyd Lee and his architect-slash-beauty-queen wife Shamcey Supsup, Pedro & Coi serves classic and reinvented Filipino dishes. One example is the Ponkan Chicken, which has a citrusy kick. Pedro & Coi is at L13-14, Fisher Mall, 325 Quezon Avenue, Quezon City; 1503 Greenhills, San Juan; 3/F SM City North EDSA, Quezon City; and Il Centro, Sta. Lucia Grand East Mall. 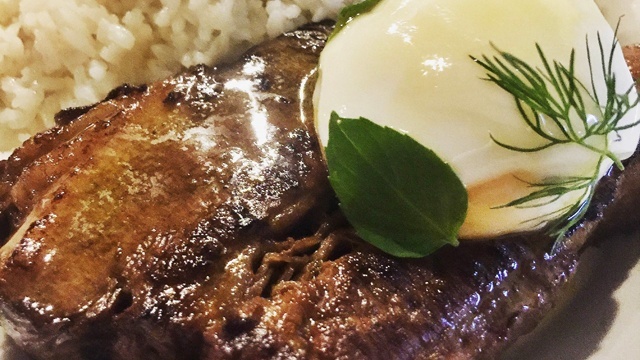 The 72-hour Sous-Vide Tapa Slab is served with garlic rice and sukang tuba. It also has habanero chilies with a unique flavor and floral aroma. Habanero is at Cubao Expo, Stall #63 General Romulo Avenue, Araneta Center, Cubao, Quezon City.